This two-hour workshop will take a deep,practical dive into design thinking, with a special focus on building a strong foundation of empathy with others. This is a great opportunity to gain an intimate understanding of design thinking for the incoming students and also for existing students to energize themselves for the new academic year. 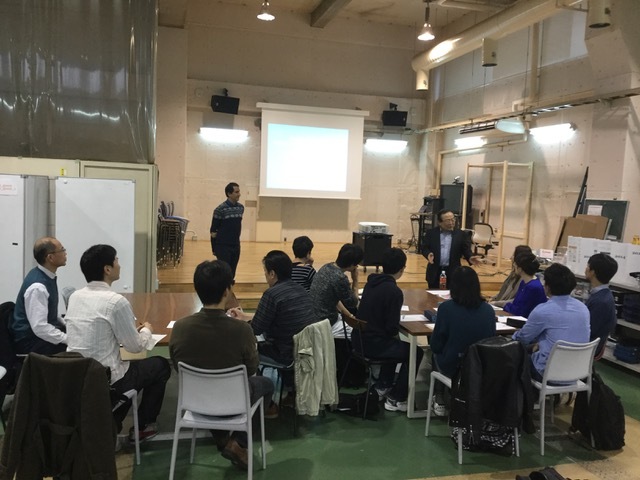 The facilitators of this workshop (one of which is fluent in Japanese) have a combined sixty years of experience working on creativity and innovation methods in over forty countries and with some of the most successful companies in the world. Organized by： 京都大学デザイン学大学院連携プログラム / Kyoto University Design School. The goal of this workshop was to give incoming students an opportunity to experience design thinking in an intensive and hand-on manner. Two professors, Federico Lozano from Norway and Jae Ho Park from South Korean, offered an excellent introduction to design thinking. 18 people participated including 3 professors. In this intensive workshop, the experienced workshop facilitators Professor Federico Lozano and Professor Jae Ho Park guided participants through the design thinking practices. After an engaging icebreak, Professor Lozano began the workshop with his own story of how he learned and come to practice design thinking initially at Stanford d.school. The workshop was organized around several interesting exercises to experience design thinking. For instance, participants were asked to draw the face of a partner with whom they made a team and learned the bias that we unknowingly introduce. Participants also learned several real-world examples of design thinking such as design of a PET scanner for children.